Driven by their gratitude for exceptional care, Bill and Mary Lee Lieser’s decision to include Doylestown Health in their estate plans will benefit patients well into the future. Like so many of our donors, their generosity is the cornerstone of our success. Growing up in a small town in California, Bill Lieser always understood how important a good hospital is to the community. In fact, his parents were very involved in the successful effort to establish a hospital in his home town in the early 1950s. As an adult, Bill experienced the truth of his parents’ lessons when, after a major heart attack and other health issues, his life was saved at Doylestown Hospital. Today, in a truly heartfelt gesture of gratitude — and in his parents’ spirit of service — Bill and his wife, Mary Lee, are paying it forward by making a planned giving bequest that will benefit future patients. When Bill and Mary Lee moved to Doylestown and learned about the hospital’s founding by the women of the Village Improvement Association of Doylestown, they felt an immediate connection. That connection grew stronger through the years as the couple benefited from the hospital’s exceptional care during times of health crises, and became more involved in service to the hospital as each health issue was resolved. Both are regular donors to Doylestown Health programs and Bill currently serves as a community member of the Doylestown Health Foundation Board of Directors as well as on the Foundation’s Development Committee. Bill has a special appreciation for Doylestown Health’s Richard A. Reif Heart Institute, currently serving as a member of Friends of the Heart Institute’s Steering Committee, and as co-chair of the Membership Committee. “The Heart Institute has a truly unique team of cardiac specialists, surgeons, nurses and clinical professionals,” says Bill. “They do a great job of helping people stay healthy, and of course, saving lives. It’s wonderful to be able to support them as a member of this fundraising committee.” This year, Friends of the Heart Institute raised $183,000 designated to support cardiac equipment and services. 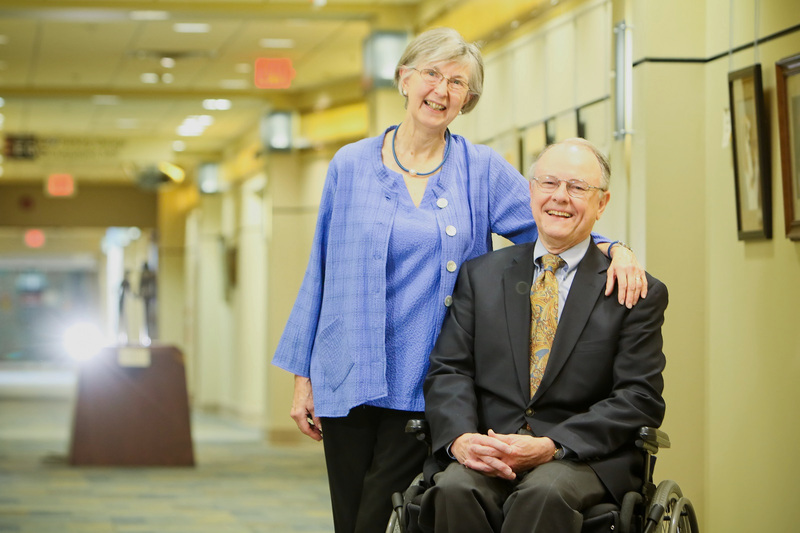 As Bill and Mary Lee move along in what they laughingly refer to as their “advancing youth,” they’ve reflected on their experiences at Doylestown Health. “The positive results we both gained enabled us to continue our active lives with minimal interruption and left us with feelings of deep gratitude,” notes Bill.